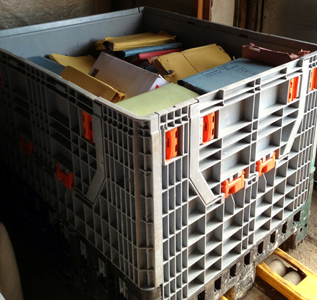 Archiving can be made ready for removal on pallets. Shredder Waste Paper can provide cages or wheeled bins of various sizes for ease of disposal. Our cages are particularly popular with company’s who may wish to reuse their boxes. A secure lid is provided with the cage.